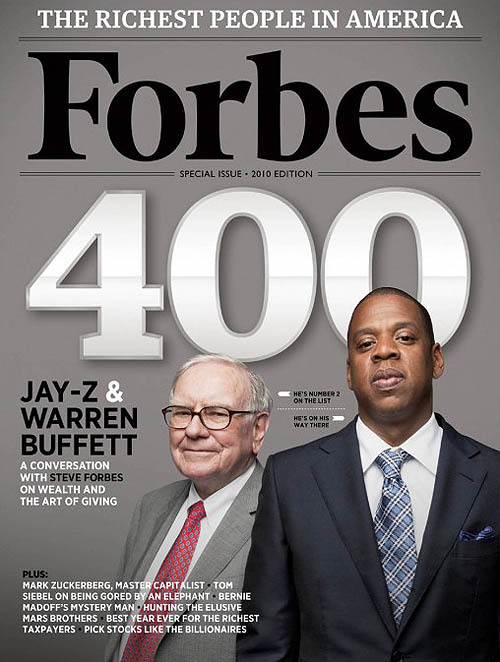 On the cover of Forbes this month is Jay-Z and Warren Buffett. The issue highlights the “400 Richest People In The World”. Jay-Z doesn’t quite make it on the list, but Forbes predicts if Jay-Z can continue to double his estimated net worth of $450 million, then he’s bound to earn a spot on the list by 2015. The duo sat down with Forbes for an interview, check it out here.